A young boy who is unhappy with the attention his new baby sister is getting learns about his family's history and his own future through a series of magic visions. Fantasy and history collide in writer/director Mamoru Hosoda's animated feature "Mirai." The story focuses on a young boy named Kun (Moka Kamishiraishi), who up until now has had his parent's full attention being an only child. 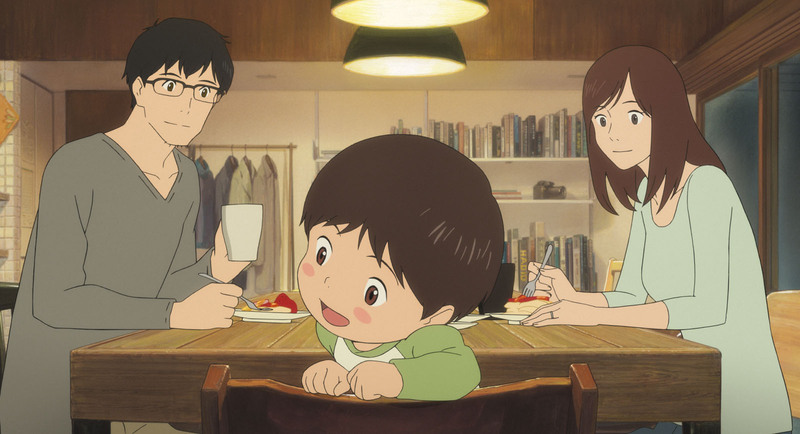 When his parents bring his new baby sister Mirai home from the hospital, their attention is almost entirely focused on her, as people tend to do with a new baby. 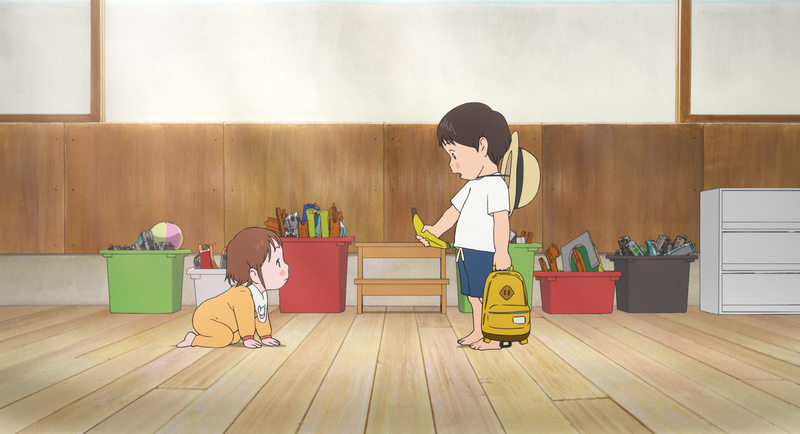 Kun starts to feel neglected, which leads him to lash out at his little sister. In turn, he gets punished by his parents more than ever before. He begins to hate his little sister, but one day, when he enters the garden in the back of his house, he is (literally) magically offered a new perspective on his family and gets to know them at different points in the future and from the past. He even gets to meet the human representation of the family dog, and all of these people hope to teach him to start to care for his little sister. Japanese animated films have a tradition of combining serious personal, familial topics with enchanting fantasy, and "Mirai" is no different. The story is a little strange and has a premise you will either get behind right away or will write off as being too off-the-wall. 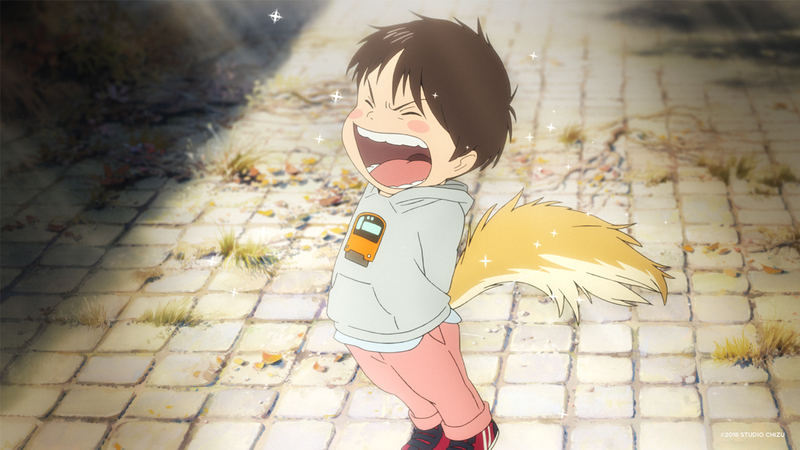 This film focuses on a young child struggling to come to terms with his own jealousy. It is a thing that many first-born children will face if and when any younger siblings come along. There are many fun, interesting moments here and there, but the film overall doesn't quite have the emotional impact we had hoped for and have experienced from Japanese films of this type in the past. The narrative feels a bit drawn out and meanders in some places a little too long. It also feels sort of disjointed and offers a rather basic deviation of the message "you'll understand when you are older" presented in a semi-fantastical fashion. "Mirai" didn't engage us as much as we hoped it would, but it's still not a total loss. The animation is lush and intriguing, especially when Kun steps outside and into his family's past and his future. These magical aspects are a little obvious at times, but that doesn't stop them from being gorgeous to look at. Some of the imagery will make you laugh at how bizarre it is, like when the family dog comes to life as an adult man. Though we didn't get very emotionally invested, we can see how this might make some people tear up from its heartwarming conclusion. 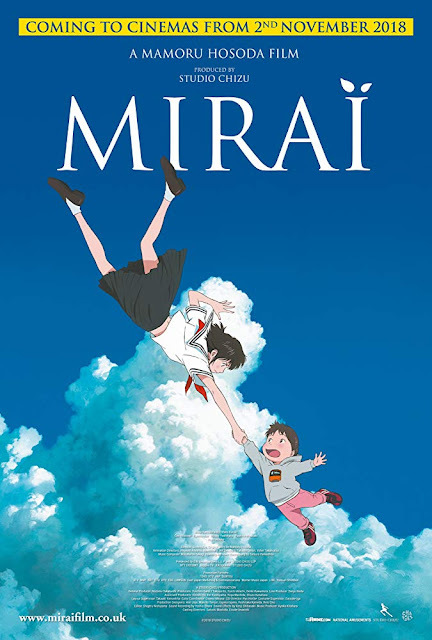 We wish we could say we loved "Mirai" as much as we've loved other Japanese animated films, but we just can't. It's not bad, but it's still a mostly forgettable story.